Save Your Cables and Components with Trip Free Circuit Protectors » HHP Associates, Inc.
Sensata’s trip-free circuit protector will open even when the operator holds the ON position. Circuit breakers can protect your circuits from excess current during an overload. In some cases, you need “trip free” features–the circuit needs to trip open during an overload even when the handle is held in the ON position. In these cases, an operator might otherwise damage the circuit. Airpax’s AP series magnetic circuit protector is just such a trip free circuit protector. Using one can save you time and resolve replacement issues. 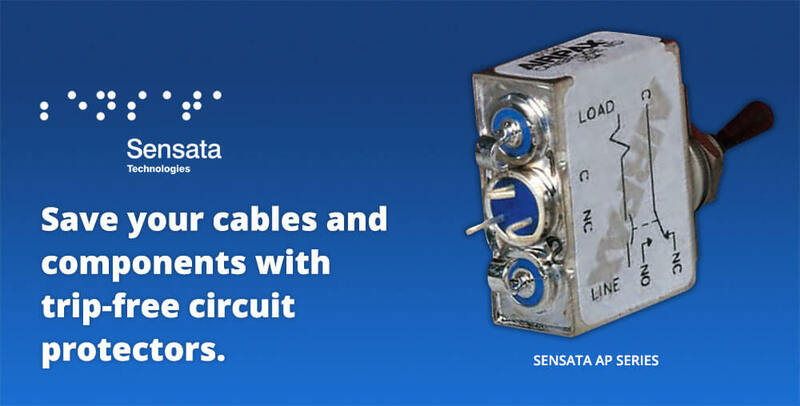 We are honored to serve as a manufacturer’s rep for Sensata, one of the world’s leading suppliers of sensing, electrical protection, control and power management solutions. Sensata’s products improve safety, efficiency and comfort for millions of people every day in automotive, appliance, aircraft, industrial, military, heavy vehicle, heating, air-conditioning and ventilation, data, telecommunications, recreational vehicle and marine applications, to name a few.